ALV Crunchivity. 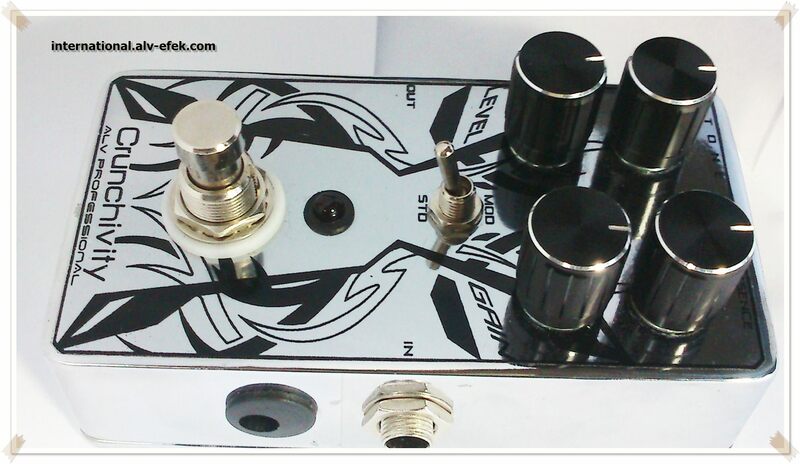 High Gain Crunch Distortion Pedal, this pedal makes your guitar and amp sing. 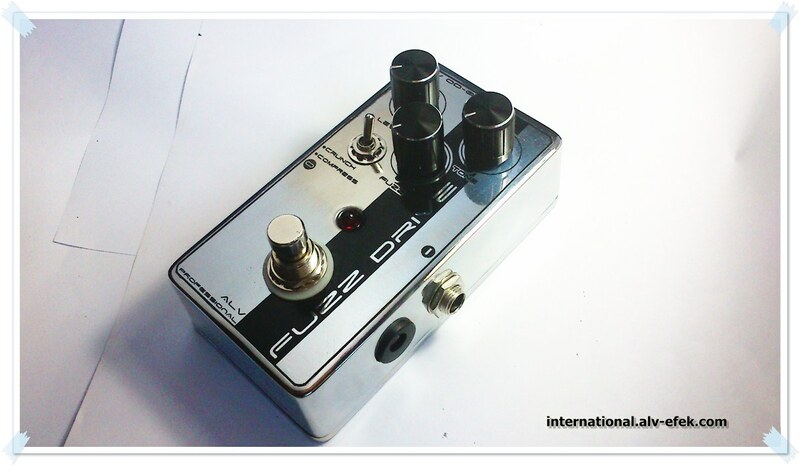 Its perfect for Marshall tones and is suited for humbuckers more than single coils. With the gain turned to zero you get some awesome tube-like clean/slightly Overdrive tones and with the gain cranked you can get pretty good JCM 800 tones (good for older thrash and hard rock). 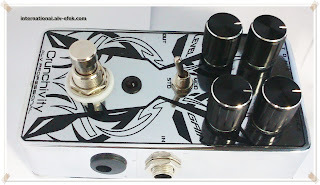 It starts to get muddy if you turn the tone down to far and crank crank the gain all the way up but this can be countered with the internal presence control. 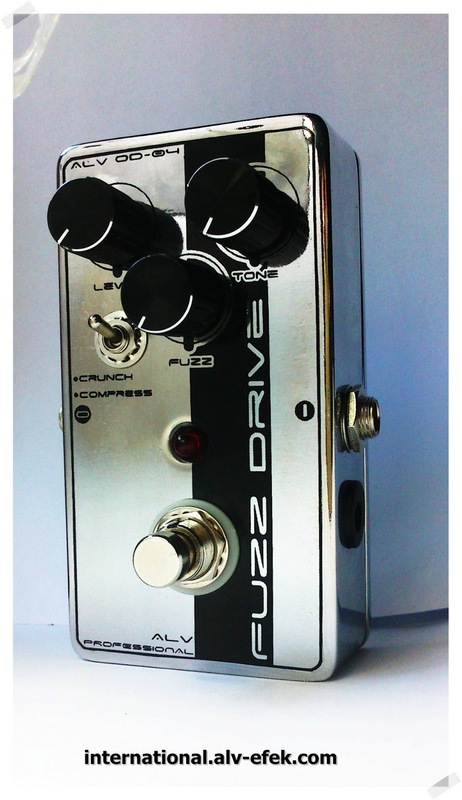 Turn the gain down to about 3, the tone up to about 7 and turn off all reverb and you have a great Blues-Rock tone perfect for AC/DC or Zep. 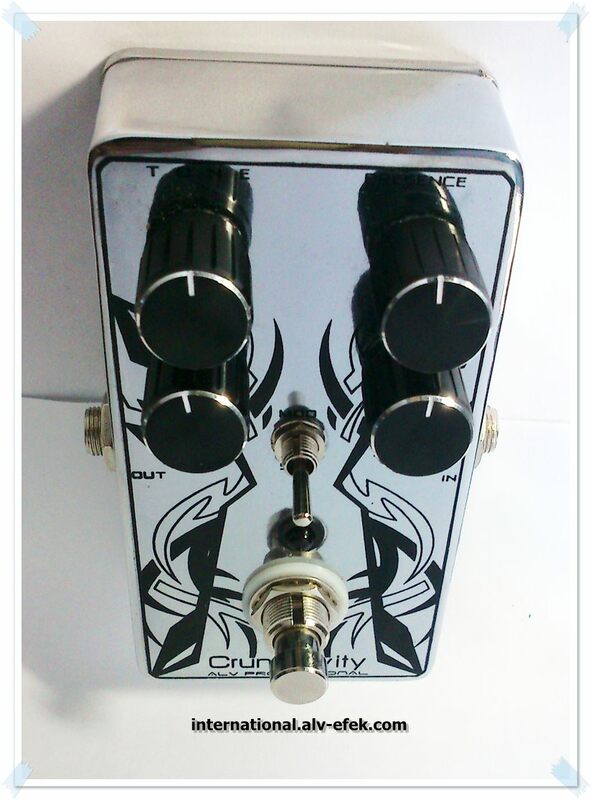 ALV Crunchivity with special features, such as using the best electronic components, true bypass footswitch (to preserve the original sound quality of the guitar), indicator LEDs are brighter, used a strong enclousure, etc. - The center Switch: to select sound character, crunch and standart mode.